Augustine said, “Where Scripture speaks, God speaks.” The Christ-Centered Exposition authors agree. Believing the Word is God-breathed, authoritative and timeless, each author strives to handle text carefully and accurately. Edited by David Platt, Daniel L. Akin, and Tony Merida, this new commentary series takes a Christ-centered approach to expositing each book of the Bible. Rather than a verse-by-verse approach, the authors have crafted chapters that explain and apply key passages and conclude with a “Reflect & Discuss” section. 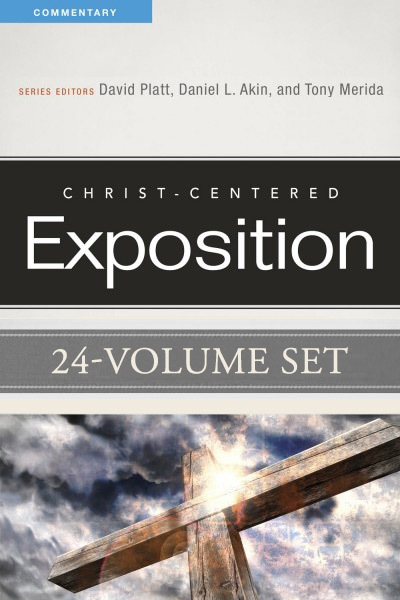 The Christ-Centered Exposition Commentary is an easy-reading, practical and friendly commentary ideal for small group study, personal devotion, and even sermon preparation.